Visit Napleton River Oaks Kia for an outstanding experience finding a new or used Kia car. Our staff is dedicated to the satisfaction of our clients. Our goal is to provide a very positive, friendly shopping environment so our guests may make an informed decision they're happy with! 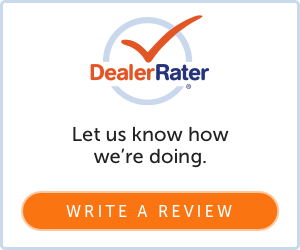 Read reviews from around the web below or leave us a review of your own. If you have any questions or concerns, please contact us now and we'll work on resolving any issues ASAP. Everyone is so nice and warm greetings when I came in, listen to my concerns and a very clean showroom. Antonio always finds a way and helps you buy what fits your lifestyle practical but still what you actually want. Good customer service. Second time buyer. It was truely my pleasure to encounter Mr. Jason Draper. He was professional, knowledgeable and made me feel comfortable with my choice. I will DEFINITELY be recommending you guys to others. The sales agent, Andre Kimbrough, was extremely friendly and helpful! He accommodated to my needs and made this experience easy and great! Antonio was excellent. He put me in the right vehicle that's right for me. Antonio Rocks!! SOLOMON is the best. He promised the best deal possible and was true to his word. I want to thank KIA and the ppl that made this happen! Most of all to my sale rep Jason if you need a car new Jason is the man to go see he made it painless and easy the way it should be thank you brother!